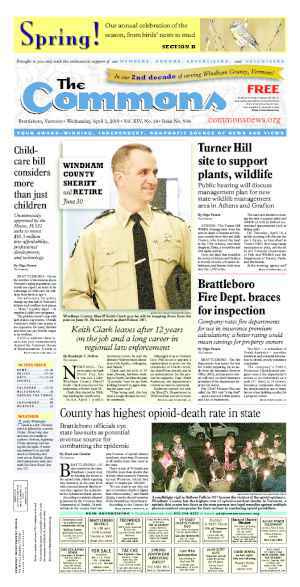 What makes Windham County’s economic tick? Windham County is bucking some economic trends, but don’t expect any accolades to appear on marketing materials anytime soon. Economic development consultant Mark Madsen of Vital Economy hopes to help turn Windham County’s economy around. In 1992, Frank Knott founded the Maryland-based firm as a collaboration of independent economic development specialists who work with rural communities seeking to repair their respective economies. With $180,000 in seed money from FairPoint Communications, and another $50,000 to $75,000 expected for 2011, Vital Economy is helping the Southeastern Vermont Economic Development Strategy (SeVEDS) take steps toward revitalizing the region. Southern Vermont has a highly educated population, said Madsen, who pointed out that normally, this type of demographic indicates high-wage employment. But this area does not follow the trend, he said. Instead, the economy of Windham County reflects a number of negative patterns that started before the 2008 credit crunch. The county is losing population, the average wage is the lowest in the state, and many employers can’t find enough skilled workers to fill vacancies. “There’s a disconnect between the job market and [residents’] skill sets,” Madsen said. The dichotomy between the highly educated population and low wages confused Madsen at first. But he realized that one factor was skewing the statistics: when deciding to either remain in, or move to, southern Vermont, most people had made a lifestyle choice, not an economic choice. The trade-off for many people was living in a place they loved, but without financial certainty. Windham County’s population has declined over the past 20 years, and the loss of population goes hand-in-hand with the loss of jobs, said Madsen. As people leave, so do employers. This pattern results in a stagnating housing stock, where houses sit on the market for many years. Empty houses have a “depressing effect” on the reputation of a community. A bad real estate market also sends the signal to prospective businesses that they might not receive any return on their investments. In Brattleboro, for example, said Madsen, the Book Press and Cotton Mill buildings were left empty until the Brattleboro Development Credit Corp. (BDCC) rehabilitated them as rental space for other companies. It’s fortunate, and unfortunate, that the “BDCC is the largest corporate landlord,” said Madsen. He feels the title should go to a private corporation. But that’s what happens in a bad economy, he added. The non-profits step in. Many of the people who have moved to the region might not see the dichotomies in the economy. Retirees or younger residents with assets (sometimes disparagingly called “trustifarians”) find themselves somewhat independent of the local economy because their incomes come from a separate source. “Breadwinners” who work within the local economy can face “severe challenges” because they earn, at best, survival incomes, Madsen said. Some breadwinners move elsewhere, while others literally become “trapped” without the resources or skill sets to relocate to a better economy, he added. Despite its woes, the region has strengths it can build upon, Madsen said. Noting that the Connecticut River Valley has had a history of precision manufacturing, Madsen said that during the Revolutionary war, the area produced rifles and in the 1940s, optics used in aircraft came from here. Although the collective skill set of the area workforce may have changed, manufacturing still exists at companies like Chroma Technology, G.S. Precision, and Omega Optical. Also, a unique characteristic of some large employers such as Chroma, or educational institutions such as the School for International Training, said Madsen, is their global reach. 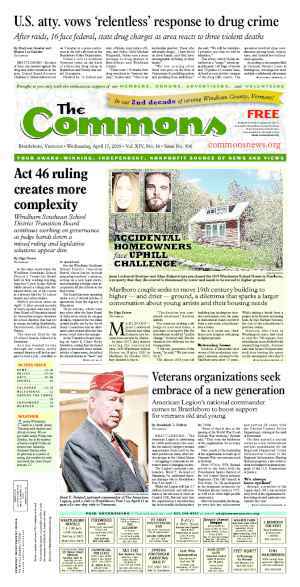 On the western side of the county, the towns around Mount Snow and Stratton Mountain have a whole wave of untapped human capital in the form of second-home owners, he said. According to its website, the company boasts an eight-step model for its consulting services that it calls the “VE Journey.” The “journey” begins with building awareness of the economic issues. 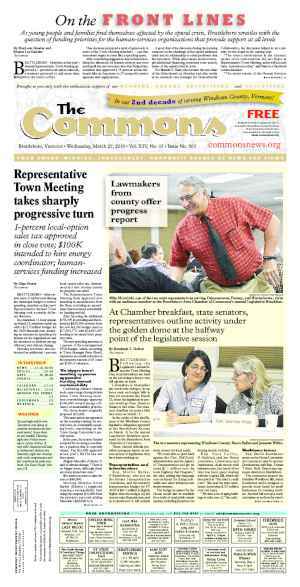 Madsen said that the next step involves assessing the Windham County economy and comparing it against key economic benchmarks, such as salaries in neighboring regions. From these benchmarks, the community identifies gaps in its economic success, then builds a strategy and pinpoints measurable goals. The next step, innovation, involves creating what Vital Economy calls a “regional Innovation ecosystem” to encourage existing talented or entrepreneurial residents to stay in the rural region, rather than relocate to an urban center. Next comes implementing strategies and changing behaviors that caused the region’s economy to fail in the past. Amplifying the region’s successes through partnering with other organizations or communities is another step, followed by acquiring funding. The final step involves building community leadership, with Vital Economy handing over the economic development reins. From roughly the 1960s through the 1980s, he said, economic development professionals used a “needs-based” strategy. They’d ask themselves, “What do we need?” The answers were simple. Jobs. Money. New businesses. In their quest to find the latest economic engine, communities would pour money into building industrial or office parks, and infrastructure like water and sewer, to attract large businesses, like car-manufacturing plants. But by the 1990s, said Madsen, people recognized that this model did not fulfill its promise of economic boon. “Everyone was chasing the same smokestack,” he said. Once identified, communities can use these assets to attract new jobs, money, and businesses, said Madsen. He defines an asset as something unique to a community that can attract other resources, like money or people. An asset would also help foster a vibrant economy, nurture human capacity in education and the workforce, and maintain or improve a community’s quality of place. Another favorable aspect of Vital Economy’s model is that it’s “community-directed work,” Madsen said. The point, he noted, is to engage community members to develop goals and strategies early on, and then take over the work after Vital Economy leaves. Brattleboro, Madsen said, could attract a huge factory — if it wanted to ruin its sense of place. A mammoth factory might revitalize the economy, or attract more people, but it would not tick the third box of maintaining the sense of place. So, according to Madsen, it would not be an ideal asset. 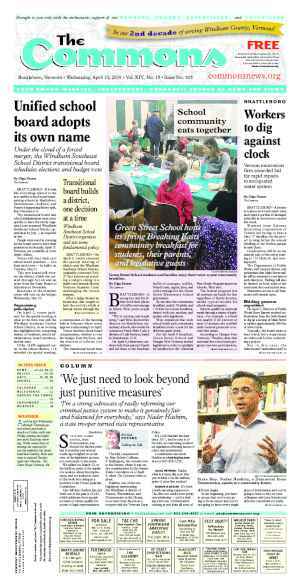 BDCC executive director Jeff Lewis and Brattleboro Town Manager Barbara Sondag asked Madsen early last year to lead them through the process that would become SeVEDS. Madsen said that Vital Economy has worked with many communities that received FairPoint funding. When FairPoint acquired Verizon’s landlines in northern New England, the company asked Vital Economy to do a “listening tour” of economic development professionals and chambers in New England. Of the northern New England states, said Madsen, Maine launched a statewide initiative aiming for a unified economic development strategy. New Hampshire, he said, had a “slower start.” The state has not provided much direction, and there are not any full-fledged initiatives as of yet. Vermont has not had a lot of activity at the state level either. Madsen attributed that to politics and the newness of FairPoint in the state. Southeastern Vermont, however, jumped at the FairPoint seed money, he said. According to Madsen, FairPoint has a long history in rural American communities, mostly in the southern United States. The company’s attitude, he said, is simple: as surrounding communities prosper, so does FairPoint. So they put their money where their mouth is, said Madsen. According to Smith, FairPoint headquarters encourages community giving. Last year, FairPoint Communications of Vermont donated an estimated $240,000 in local giving, and he expects the same amount for 2011. Prior to his post at FairPoint, Smith served as secretary of administration under former Vermont Gov. Jim Douglas. Smith said that if FairPoint helps the local economy, the resulting economic improvement helps their customers and, in turn, FairPoint’s 578 employees. And to be honest, he said, the “more economic development there is, the more potential customers” there are for FairPoint. Smith said that he receives briefings on SeVEDS’ progress, but “virtually doesn’t get involved” with Windham County’s economic development plans. The economic development seed funds came from Smith’s budget. Windham County was an experimental case, according to Smith. “I have no doubt that the tools and money [invested] were well worth it,” Smith said. He does not plan, at this time, to contribute any more funds to SeVEDS. Instead, Smith plans to carefully watch the “final results” of SeVEDS before deciding on whether to give economic development seed money to any other projects in Vermont. He believes it’s crucial for other organizations to provide economic development funds in the future, rather than all the money coming from FairPoint. Madsen knows that not everyone sees economic development choices in the same way. Some people want to see some types of business sectors expand over others, he said. But that’s why it’s important for people to educate themselves and own their respective parts of the process, he said. Windham County has 27 different towns, each with its own “make up,” challenges, and opportunities, said Madsen. These 27 cultures will need consideration within the economic development conversation. “It takes effort to turn around an economy,” he added — effort that’s worth it so that people can “truly live and not just survive.”.